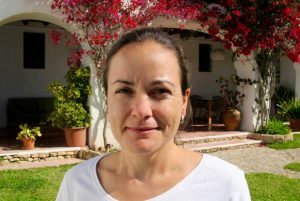 In 2009 Belen finished her studies in Physiotherapy in Barcelona (Fundació Universitària del Bagès) to then finish Nursing at the Universitat de les Illes Balears in 2011. Since then she has been working in Can Misses, the public hospital here in Ibiza. Developing an important part of her career in mental health care she is also trained in Emergency and Intensive Care. Being part of this team, she appreciates being able to help and encourage in the treatment process.